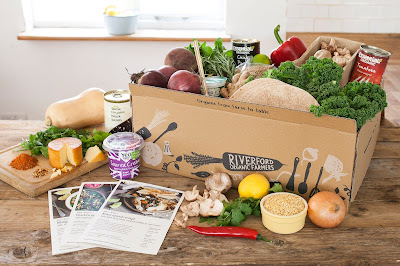 A few weeks ago I was lucky to receive a limited edition Sarah Raven recipe box from Riverford which contained most of the ingredients needed for three meals. We loved our previous recipe box we received from Riverford and you can see that here and we also received a Veg Box here. Sarah Raven a well known gardener is one of the guest chefs at Riverford whose recipes are inspired by fruit and vegetables that she grows at Perch Hill, her own cooking and gardening school. 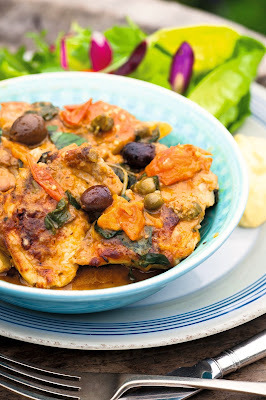 Of the three recipes we were provided our favourites had to be the delicious Chicken Puttanesca made with chicken thighs, olives, cherry tomatoes, garlic, basil, capers and anchovies. 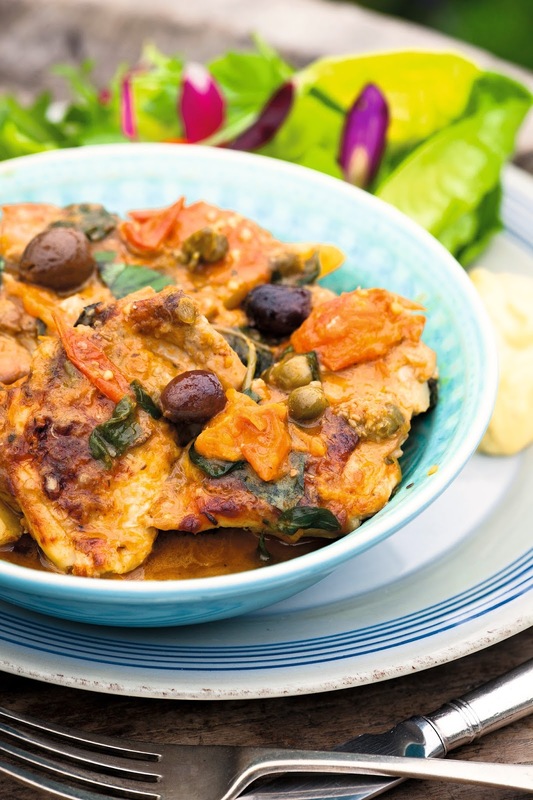 This super tasty quick meal is low fat and also low in calories but is really delicious served with a side salad and pasta. 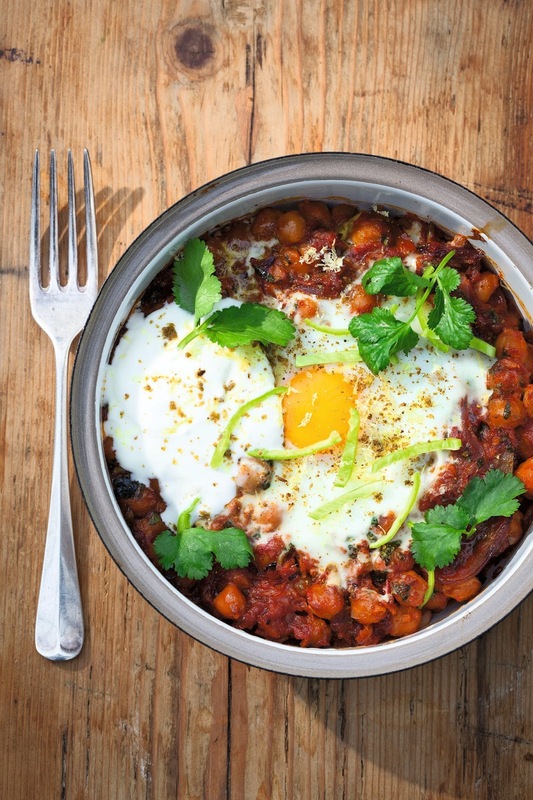 The Shakshuka with Chickpeas is a Tunisian inspired dish containing tomatoes, chickpeas, parsley, and a dukkah spice mix, my absolute favourite part of the dish is the poached eggs that gently cook on top. Riverford recipe boxes and veg boxes are really inspiring, especially if like me you get fed up of eating the same meals every week. I love the fact I can come home from work, grab everything from the fridge and have a meal ready in around 45 minutes. Perfect for the working mum (or stay at home mum) with the busy life we lead. The new chef boxes offer another alternative to their recipe boxes with gorgeous tasting recipes from leading chefs. We were sent this box free of charge for the purpose of this review but the opinion is our own. This box looks lovely. I am impressed. We eat healthy at our house.